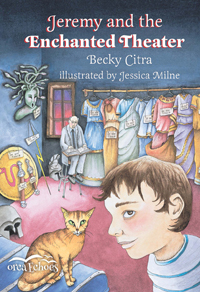 In Jeremy and the Enchanted Theatre, Jeremy traveled to Mount Olympus with an orange cat named Aristotle to save Mr. Magnus's theatre, but Zeus only agreed to help Mr. Magnus if he could solve the riddles on three scrolls. 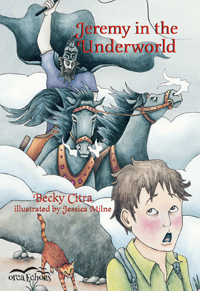 Now, in Jeremy in the Underworld, Jeremy is willing to help solve the first riddle, but is he ready to travel into the Underworld to do so? 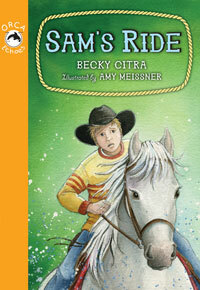 "There is enough action and humour to keep a young reader engaged. Recommended." 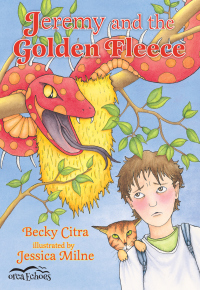 "It's an inspired way to introduce primary school readers to classical mythology."